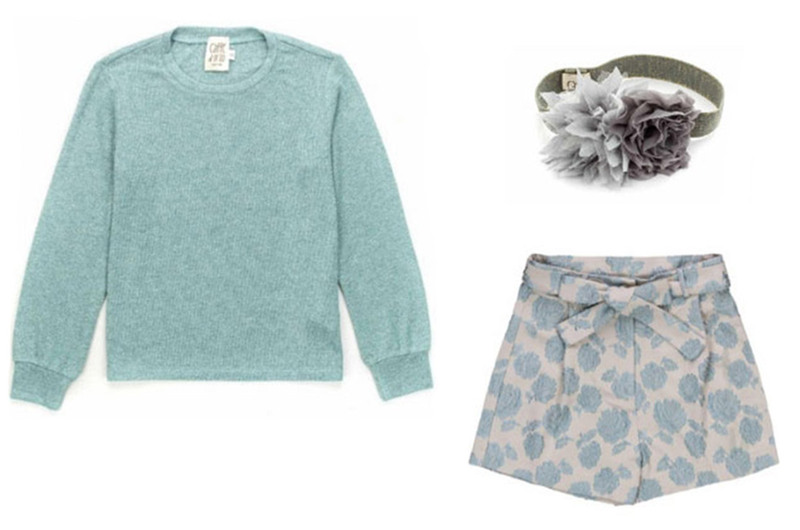 Let’s enjoy some spring outfits dedicated to a glamorous and romantic girl with a strong personality. Let’s start with a refined look entirely signed Caffè d’Orzo (a 100% Made in Italy brand); the soft t-shirt with delicate pink ruffle flounces, made of cotton and modal natural fibre, is combined with the exclusive and precious “Venusia” trousers characterized by all-over floral embroidery. 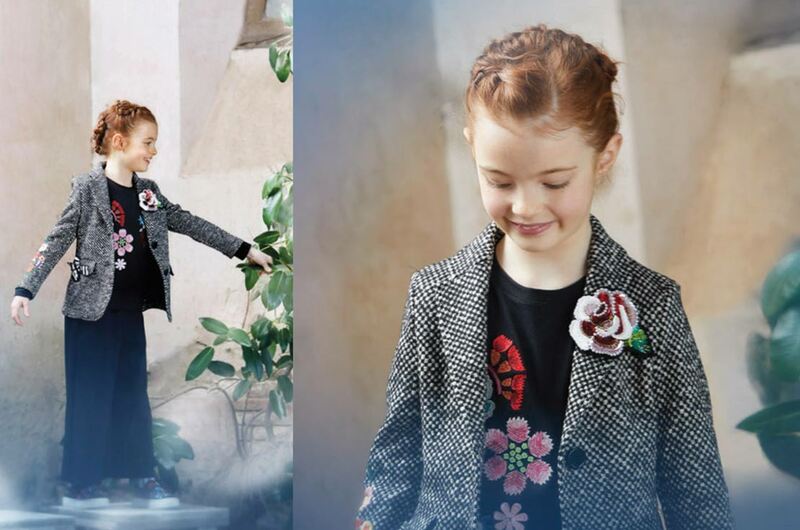 The dove and purple floral hair band is delightful, a classic from the girls and teens fashion collections by Caffè d’Orzo. Delicate colours accompany a sophisticated design, made of overlapping and harmonious forms, these are the distinctive features of our second Caffè d’Orzo outfit. 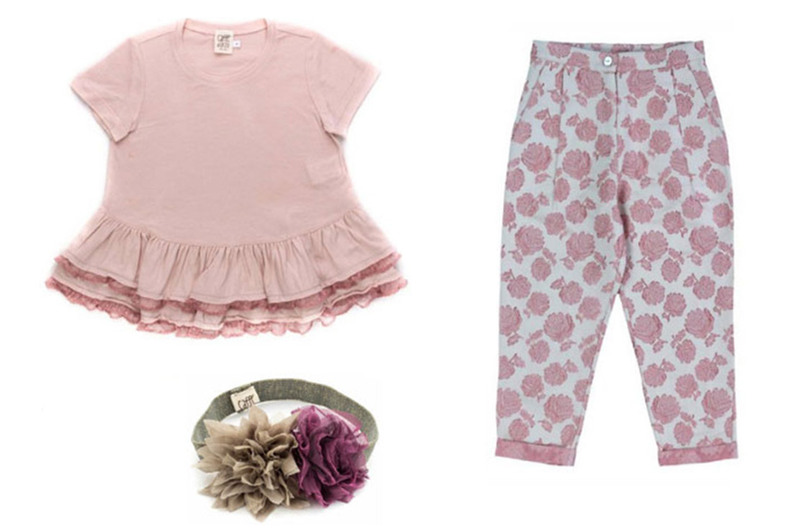 Refined “Venere” trousers with all-over floral pattern, perfectly matched with a ruffled t-shirt. Delicate water-colour “Violante” shorts with a floral theme combined with a glitter water colour jersey for an absolutely exclusive look with a strong impact. Inevitable is the floral hair band “Zaira” grey & pearl colour. A sporty & chic choice perfect for a glamorous girl? Do not miss the chambray shirt by Les Coyotes de Paris combined with the white logo shorts and the iconic Golden Goose Starter sneakers. Freshness, lightness and innovation are some features of the girl and teen look by Dondup; one of the garments with a bon ton allure is the white t-shirt with rouche , perfectly combined with an absolute must-have the superskinny denims. The Golden Goose Ball-Stars with glitter star are inevitable and tremendously fashionable. 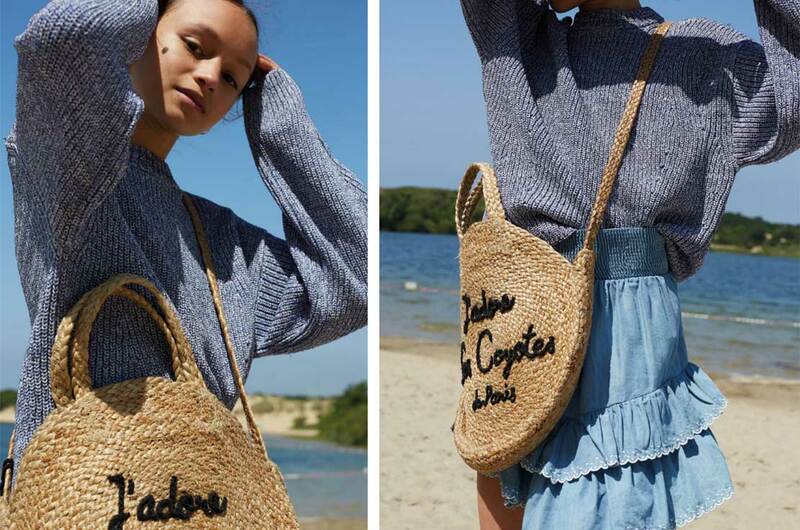 The 2019 spring / summer collections dedicated to children and girls are all to be discovered! Alongside the historic brands of our boutiques like Caffè d’Orzo, Dolce & Gabbana, Les Coyote de Paris, Golden Goose, Moncler, new “emerging” brands are affirmed, not to be missed. We refer to the proposals signed by Unlable, Lagoa World, La Bottega di Giorgia and Little Creative Factory. Stay tuned to our magazine and our social networks to discover all the news dedicated to fashion for girls and teenagers signed by Anna Meglio!